HBO announced it has cancelled a miniseries about the 2016 presidential election that is affiliated with the work of political journalist Mark Halperin, according to a new report. The decision by HBO to cancel "Game Change" follows recent accusations by several women who have accused Halperin of sexual harassment when he was the political director at ABC News, Variety reports. "HBO is no longer proceeding with the project tied to the untitled book co-authored by Mark Halperin and John Heilemann on the 2016 presidential election," HBO said in a statement. "HBO has no tolerance for sexual harassment within the company or its productions." CNN on Wednesday night first reported the accusations, which range from propositioning junior staffers, groping, and pressing an erection against women while fully clothed. Halperin admitted he acted inappropriately and apologized for his actions. He has also denied some of the more shocking allegations in CNN's report. Since the allegations have surfaced, Halperin has been suspended from his roles as a political analyst at MSNBC and NBC News. "We find the story and the allegations very troubling. 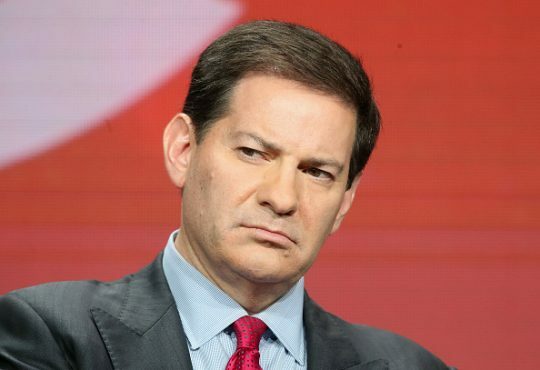 Mark Halperin is leaving his role as a contributor until the questions around his past conduct are fully understood," a statement from NBC reads. Showtime is now evaluating whether to move forward with another season of "The Circus," a show with Halperin that gave viewers behind the scenes access to the 2016 campaign, according Variety. Showtime said Thursday that it "will continue to evaluate all options should we decide to move forward with another season" of "The Circus." The network noted that "we have not seen nor have there been allegations of any untoward behavior" during Halperin’s tenure on the series. Halperin has also lost a book deal with Penguin Press. "In light of the recent news regarding Mark Halperin, the Penguin Press has decided to cancel our plans to publish a book he was co-authoring on the 2016 election," the publisher said in a statement to USA Today. During the 2016 campaign, Halperin hosted "With All Due Respect" alongside Game Change co-author John Heilemann on Bloomberg from 2014 to 2016. The show was also rebroadcasted on MSNBC. The "Game Change" miniseries was intended to be a behind the scenes look at the 2016 election based on reporting from Halperin and Heilemann. Jay Roach was planned to direct with Tom Hanks and Gary Goetzman as executive producers. This entry was posted in Politics and tagged Mark Halperin, Media, MSNBC, NBC News. Bookmark the permalink.